Unwind, Relax and Enjoy the Space ... Stroll to Surf Beach, cafes and shops. 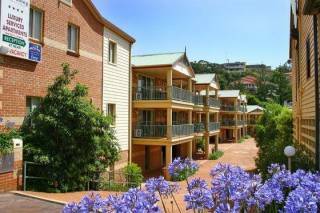 Seashells Kiama is a spacious, completely renovated, open plan house with great harbour and ocean views from the balcony and all living areas. Stylish decor & polished floor boards throughout. Flat Screen TV, DVD/Video, CD/stereo. R/C A/C. A gas log fire and electric blankets for those cooler nights. The fully equipped kitchen includes microwave, dishwasher, full fridge and stove. 3 Bathrooms - one with bath & hairdryer. Downstairs the internal laundry includes washer, dryer, and iron and the rumpus/games room has 2nd TV, books and games. Bed linen, blankets, bath towels and tea-towels are all supplied. Courtyard with gas BBQ and outdoor setting and market umbrella provide an extra entertaining area. The ideal place to holiday with family, friends or just the two of you. **MINIMUM STAYS APPLY AT SEASHELLS** Weekends and Midweek - 2 night stay... June & October long weekends 3 nights... EASTER 4 nights for the Easter Holiday Weekend... OVER THE CHRISTMAS AND NEW YEAR HOLIDAYS 6 nights. 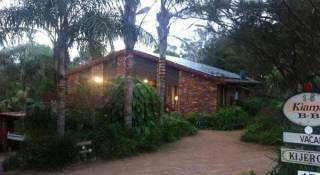 Short, medium or long term accommodation in three bedroom home. Catering to executive placements, project teams, contractors, guests or staff relocations. Honeymoon Accommodation for Bride and Groom, their families wedding guests attending ceremonies in Kiama and surrounds. Bookings cancelled within 7 days of the arrival date will be subject to a 100% cancellation fee. Cancellations received 7-14 days prior to arrival will be subject to a 50% cancellation fee. Cancellations received 14-28 days prior to arrival will be subject to a 20% cancellation fee. Cancellations received 28 days or more from the arrival date will receive a full refund less a $22 booking administration fee. A bond of $500 is required to be paid directly to the owner prior to the keys being handed over to the property. The bond will be refunded after the cleaning of the property has been completed and if everything is left in good order.